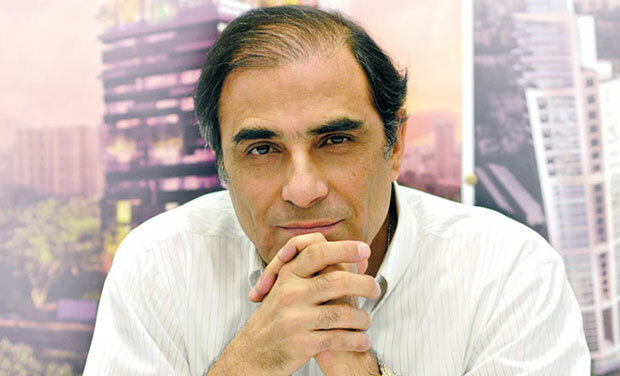 Hafeez Contractor is an Indian architect born in a parsi family in 1950 in Mumbai. He got his graduate diploma in architecture in 1975 from the University of Mumbai followed by bachelor’s degree from the Academy of Architecture in Mumbai and master’s degrees in Architecture from Columbia University, New York on a Tata scholarship. Hafeez Contractor commenced his architectural practice in 1968 as an internee at his uncle, T. Khareghat’s office while studying to get his architecture degree. After working for a while he became the associate partner in the same firm in 1977 and between the years from 1977 to 1980, he served as a visiting faculty member at the Academy of Architecture, Mumbai. He set up his own architectural firm in 1983 with a staff of two and today his firm has grown to one of the largest architectural firms in India with around 500 employees. He has built a vast variety of buildings all over India but gained large chunk of success and fame due to his residential projects. He also owns the credit of making a couple of buildings with magnificent heights, The Imperial I and II being the tallest among them all. Other than that he has also designed one of the tallest residential buildings in the world, the 23 Marina in Dubai. Apart from tall towers, Hafeez also gained enough fame for his exuberant cricket stadium designs, railways stations, educational institutes, hotels, hostel blocks and majestic airport terminals with modernistic approach. Hafeez shows great concern regarding the lack of greenery in India and rejects the idea of going behind western techniques and following their footsteps blindly as they don’t go in accordance with the climatic conditions and other demands of this region. He proposes the installment of green spaces and public parks at walking distance from residential zones and other urban centers to minimize the scarcity of greenery and other natural resources. Hafeez Contractor has also been selected amongst the top 50 powerful Indians by India Today Magazine survey.